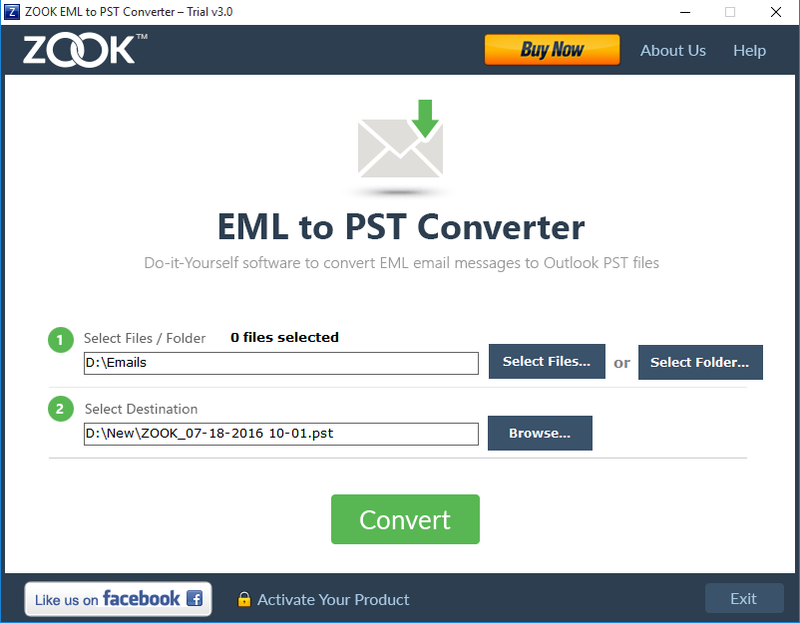 This useful utility helps you in accessing the EML files into Outlook in few steps by converting them in PST format. It will help you to retrieves all the email messages, attachments, contacts, notes, etc. from Windows Live Mail to Outlook. This application is the best tool which allows the user to open the EML files in a few seconds. It is a user-friendly application which can migrate all the email data of EML format efficiently by converting it in PST format. It is an application which is independent of operating system and the any version of EML based email client. 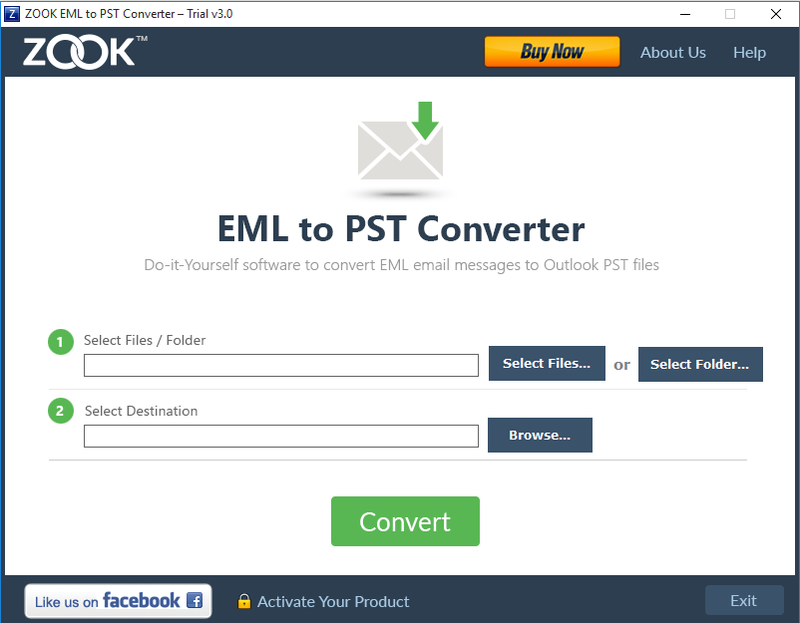 Why We Need to Convert EML to Outlook PST? Transfer email data of Windows Live Mail into MS Outlook. Virus or Malware attack is the another big issue. Accidental account deletion from the email application. Corruption of EML based email client. Physical damage to hardware or software in the system. Accidental closure of the application. To overcome from all these situations, there is no manual method is available which retrieves your email data of EML files and access them into Outlook. Whenever, user wants to change the email format of one email application to another then it is recommended to use the email conversion tool. If user wants to access their email data of EML files to PST format without any technical issues, then it must prefer to use the third party tool which easily export EML to PST in few simple steps. It has several wonderful features which migrates all the data by maintaining the email formatting accuracy. It is an application which is developed by using the several advanced techniques. It is a user-friendly application that comes up with an advance feature which can easily handle the issues. It allows you to split the large EML files and import them into Outlook as a PST file format. The first screening of the application allows you to browse and select the single EML file or multiple EML files containing a single folder and easily export them into PST format without any issue. It is one of the finest application which extracts all the email data of EML files including email messages, contacts, attachments, journals, notes, etc. directly into PST format without any problem. It is capable to export the bulk conversion of EML files to PST format at once. Batch export of EML files to PST format saves a lots of time of user and access the resultant EML files into PST format directly into Outlook. It is the best utility to access all the EML files into Microsoft Outlook by converting them into PST file format. It is the complete solution which can easily extracts the complete email data like email messages along with email attachments in PST format without any error. This application can easily support all the latest and the earlier versions of Windows operating system and smoothly runs on this system. It is the perfect utility which can import the multiple EML files to Outlook PST format without any issue. It has several functionalities which makes an easier task for users to convert multiple Windows Live Mail to PST format. Batch Export allows user to migrate their EML file format in PST format. Preview of email messages of EML files are allowed by this tool before the conversion of it. It supports all the EML files created by different versions of EML supported email client and export them into PST format easily. It is the perfect solution for users to extract the email messages and their corresponding attachments. It has an auto-detect feature which allows you to find out the available EML files from the selected folder in the system. It supports several EML based email applications. 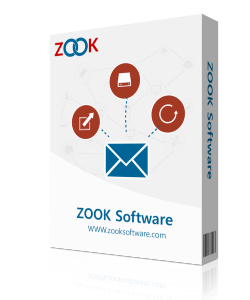 This is the complete solution for migration from Windows Live Mail to Outlook PST with lots of benefits. It is available in a trial version which allows you to convert the multiple EML files into PST format. It completely resolves all the problem occurred during the migration of EML files into PST format.